At June 1-2th Vilnius will host the bi-annual Baltic Sea States Summit organized by the Council of Baltic Sea States. 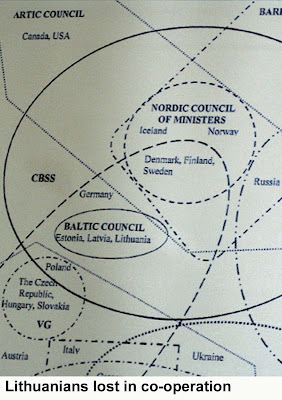 At the same time the Lithuanian CBSS Presidency (Council of Baltic Sea States) will end. What has it brought to the Civil Society? Does the Baltic Sea NGO Forum have any future? "I will not speak about any successes of the Lithuanian presidency", said ambassador Neris Germanas, one of the top Lithuanian diplomats at a recent seminar in Berlin. "There are so many international agreements, there is the Baltic Council, the Nordic Council, the Arctic Council, and soon Lithuania will have the presidency of the OSCE." - Lithuania, lost in cooperation? Could that be one reason, why this years Baltic Sea NGO Forum was organised in such lousy manner, changing the Baltic Sea Cooperation into a internal Lithuanian exercise on democracy? 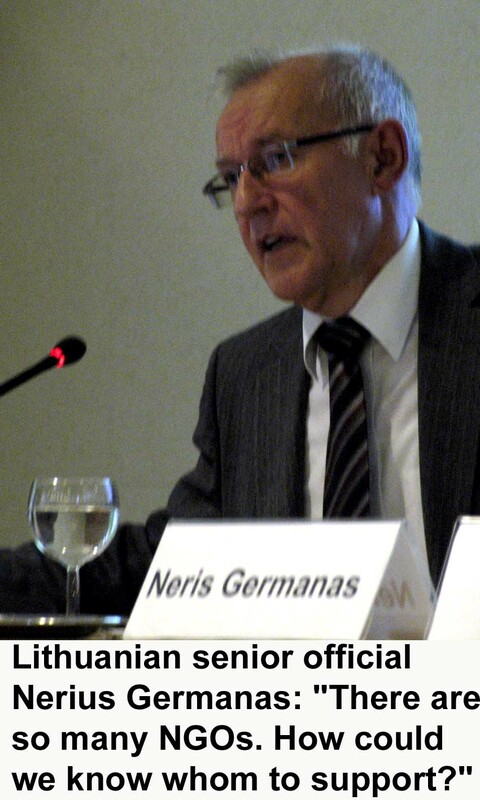 "Well, it was discussed the CBSS might be dissolved," explains Mr Germanas, continuing in non-commenting the Lithuanian CBSS-chairmanchip. "We are only few people in the Foreign Ministry, and there are so many other councils and chairmanships. At the moment I am busy to prepare Lithuania's OSCE chairmanchip." 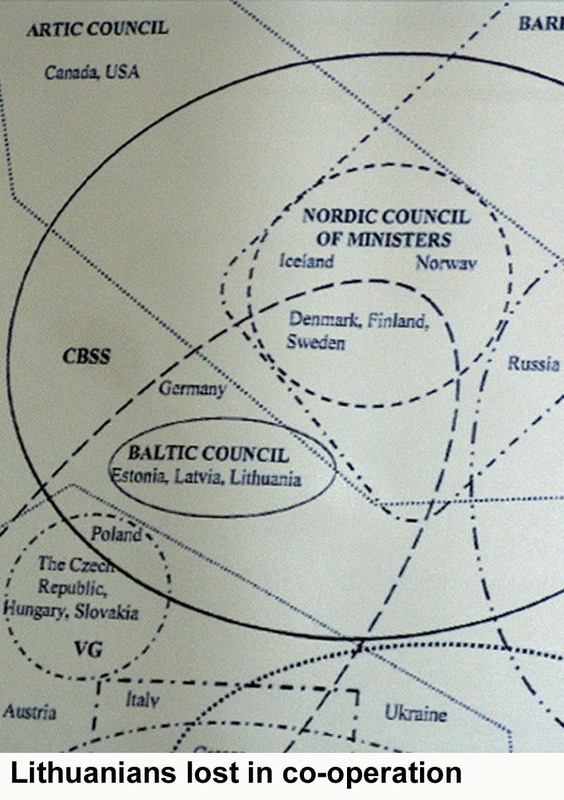 But can it be true, that nobody uses any more time for the Baltic Sea Cooperation? Is the CBSS a "dead cow" (and as a consequence the NGO FORUM also?). As the new "Baltic Sea Strategy" of the European Union does not even mention the Civil Society, the focus turns back to the recent "NGO FORUM" in Vilnius (see previous post). Some results are very clear, and neither the "lithuanian working methods" nor the culture of discussions shows any more sign of democratic life. 1) the Lithuanian NGO FORUM was organised without the support of the national coordinators (Focal Points) of the previous NGO Baltic Sea Network (no wonder, if neither a preparation meeting were organized, nor the Focal Points could meet during the "NGO FORUM"). 2) the workshops of the "NGO FORUM" were dominated by Lithuanian inner policy: just dozens of speeches, much focus on co-operation with Belorussia (a fouvorite field of activity, set by the Lithuanian Foreign Ministry) - but total absence of any exchange of experiences with NGOs from CBSS-countries. The Lithuanian Website promises even that there is a belorussian Focal Point of the Baltic Sea Network - a decision, solitary taken by the Lithuanian NGO Centre. 3) in consequence to the peculiar conference lead of the Vilnius NGO Centre (slogan: just don't meet the other colleagues, and you'll avoid the discussions) Lithuanian organisers wrote also the so called "resolution" of the "NGO FORUM" alone. As no meetings and discussions about it were possible during the conference, it was written and decided just by the NGO Centre after the Forum. This manner in fact weakens the seriousness of NGO-work and sets a big questionsmark at the seriousity of NGOs statements towards gonvernments and authorities. 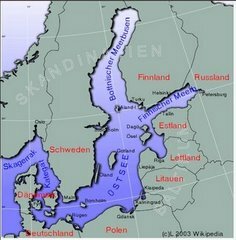 4) All previous terms of co-operation among NGOs in the Baltic Sea Area were just ignored, and likely will not come back. As it was a NGO Centre itself, an institution claiming to work for the interests of NGOs, this value of self-organised and democraticly organised discussions and meetings will not come back so soon - not under the flag of CBSS (= massive loss of credibility). No visions please, it's crisis! Interesting enough, one had to travel to Berlin for more serious discussions on Civil Society in the Baltic Sea Region. "For realisation of the EU Baltic Sea Strategy we are orientating towards the future EU-presidencies," said Jean Marc Venineaux of European Commissions Regional Policy DG at the "Berlin European Academy" (EAB). The CBSS does not seem to play any role in this game. While Lithuania officially still welcomes Norway to follow the CBSS-presidency, this Norwegian CBSS-chair does not promise much more than perhaps some "business-trips to the Northern Neighbour" (financed by the hosts). Thank you for the advice, Lithuania. Does hierarchy create democracy? I doubt. There are more "good arguments" to expect: due to economic crisis there will be no money left for supporting democratic developments and independent Citizens Initiatives. And soon the politicians again will blame Citizens for not showing any interest in elections, parliament, parties, and so on. A democratic society can not be created "top-down" (by decree of a government). If the freedom of discussion, the creative atmosphere of common visions are not allowed to grow, democracy is just an alibi. Even after 20 years of independence.